If you've ever dreamed of riding your bicycle through the Rocky Mountains of Colorado, this year's Ride the Rockies is that dream come true. The route is six days of pedaling through amazingly beautiful scenery and mountain passes. The annual ride which attracts around 2,000 bicyclists is not for the weak at heart or muscle. The 2018 ride is 6 days, 417.9 miles, and has a total elevation gain of 25,935 feet. Since it's impossible to ride a bicycle almost 5 miles straight up, the route is more like a giant see-saw going up and down over and over. Ride the Rockies starts in Breckenridge on Saturday, June 9th with a 55.6 mile 4,805 elevation gain rider warm-up ride. Then, its six days on the road returning back to Breckenridge on Friday, June 15th. I crunched the numbers and found some fun facts about this year's ride. Wednesday is the day with both the longest distance and the most elevation gain (93.6 miles/6,202 feet). If the course for the day was all uphill, (which it's not), the day with the highest average elevation gain per mile is the Berthoud Option on Thursday with 94.2 feet of elevation gain per mile. Next is the Prologue on Saturday with 86.4 feet of elevation gain per mile. 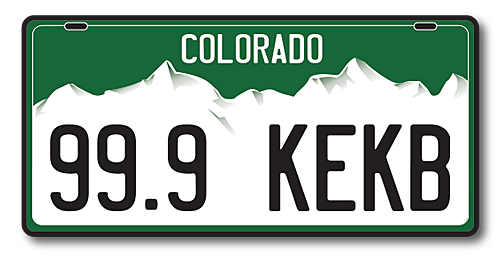 The lowest is Thursday, without the Berthoud Option, with 54.3 feet of elevation gain per mile. Whether you're a rider, a spectator watching riders grind and grunt up the mountains, or just looking for a party in a different Colorado town every night for a week, here's where Ride the Rockies will take you. Complete information including registration, maps, host cities, events, and seminars is available on the Ride the Rockies website.